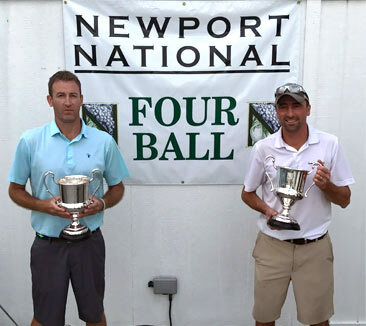 The 2017 Newport National Four Ball Championship went off without a hitch rounding out the month of August. This event, which was open to members and non-members alike, featured all the highlights of a Newport National -member sanctioned event. With special on-course services, great tee prizes and a world class championship golf course, this event had all the makings for a memorable experience, reflecting the perks of membership here at Newport National during the height of summer. This year’s event brought in some extremely talented players looking to claim the title of Newport National Four Ball Champion. Along with a gross champion, the event offers a Net Championship where players were awarded 90% of their handicap for the best ball event. A talented field up and down usually leads to a great finish, and this event was no exception. Three separate teams posted a dazzling score of 68 on a day where the winds were fierce and the slick greens and difficult pin placements offered no relief. The three-way tie at 68 featured 15 gross birdies and an eagle combined between the teams! The team of Dominic Rest Agno and Dave Baozi, along with the teams of Chris Howard and Matt Creamer and Andrew Conway and Dave Walsh would head to a playoff competition that featured an 80 yard “wedge off” to name the overall champion. After a nice play from Matt Creamer to just over 14 feet from the pin, the last shot of the playoff from Dave Walsh, would prove to be the winner as he spun his ball back just outside 11 feet to claim the Newport National Four Ball Championship! The Net Division also featured some tight competition as only 1 shot separated the top 5 finishers. It was last year’s overall NNGC Four Ball Champions, Jeremy Rohrs and Mike Reynolds, who would claim the Net title. Last year’s champions would overcome a rocky start and lite their back 9 on fire with a net birdie-eagle finish taking the top spot with a one-shot victory. 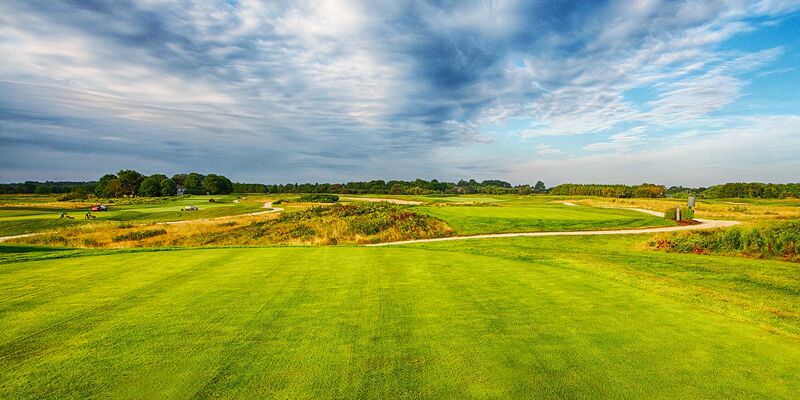 As New England’s premier summer golf destination, Newport National is proud to host this open event and give all of the golfing community a chance to experience a great event at a great facility. We hope all of you can join us for next year’s Four Ball Championship, which promises to be as memorable!